A highly effective universal anchor for fixing heavy loads to plasterboard, hollow blocks, concrete and masonry. 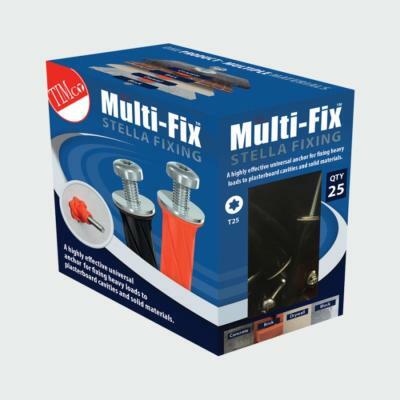 Ideal for fixing heavy objects including shelves, radiators, cupboards and light fittings. Complete with zinc plated screws.